We can all yell at our Google Home to start playing something, but what if it was possible to choose our songs in some other super cool, super throwback way? 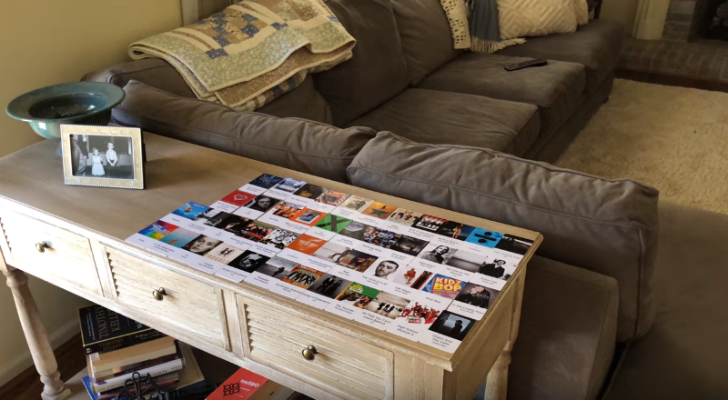 hoveeman thought this through and built an awesome jukebox-style system for his Google Home and Chromecast speakers. Before I bore you with the technical stuff, check out the video below to see how things work. Alright, now that your mind is spinning in overdrive thinking about how this might be possible, here is the skinny. The cards are RFID-enabled and printed with the album covers and names. There's an RFID reader connected to a Raspberry Pi (with MicroSD and power supply) that reads these cards and triggers Home assistant (run on another server or on a Raspberry Pi 3), which makes a group of Google Home and Chromecast speakers play the chosen playlist or album. hoveeman has a list of links on GitHub to help you get started if you're interested in copying his setup or you're getting inspired by it. And if you're wondering why go through all the trouble when you can simply ask a Google Home to play something, beside the cool jukebox factor, think about toddlers who may recognize images of their favorite albums but aren't able to form a command properly, or people with speech impediments, or simply all those times you asked a Google Home to play something and it got nothing right about it.